Hannibal Buress introduces himself as a comedian, actor and screen writer. 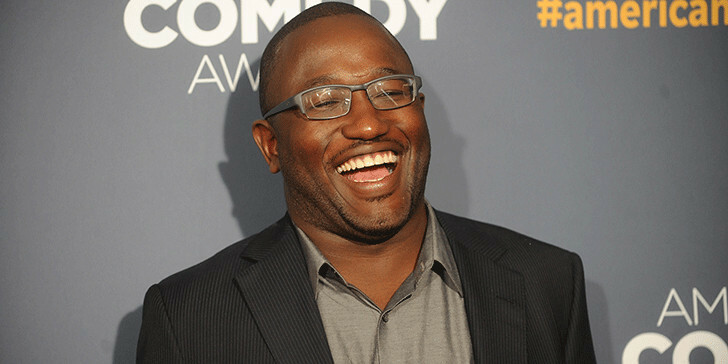 Hannibal Buress is well known for his stand-up comedy. He is able to create a humorous environment in every stage shows and he tries to be interactive with the audience during his stand-up shows. He appears in the role of Lincoln Rice in Broad city, the comedy central series and also serves on The Eric Andre Show as a sidekick to Eric Andre. Born on 4 February 1983, Hannibal Buress is native of Chicago, Illinois. He grew up in the Austin and spent some moments of his childhood days in Austin. Buress completed his school education from Steinmetz High School and he attended Southern Illinois University Carbondale for short period of time. During a short period in the University, he came in contact with Open Mike Eagle who became his resident adviser. Moving to his career, Hannibal Buress has given his marvelous performance in The Awkward Comedy Show special on Comedy Central and has made his appearance in FX comedy Louie. He currently appears on The Eric Andre Show on Adult Swim along with Eric Andre. In 2010, Variety magazine named him as “Ten Comics to watch in 2010” list. In 2010 July, his first stand-up comedy album Hannibal was released which gave him more name and fame. Besides comedian, he has also gained an identity as a writer. He wrote for Saturday Night Live in between 2009 and 2010. Similarly, he was a writer for the fifth season of the 30 Rock, the NBC comedy series. But he worked for NBC for six months only. In 2012, Hannibal Buress released his second album “Animal Furnace”. This album received positive feedback from the critics. His stand-up comedy has been featured on various comedy central programs including Live at Gotham. He has also given his performance in numerous late night talk shows including The Tonight Show Starring Jimmy Fallon, Totally Biased with W. Kamau Bell, Conan, Late Show with Kamau Bell, The Late Late Show with Craig Ferguson and Lopez tonight. Similarly, he appeared on the stage with his stand-up comedy during 2012 Secret Policeman’s Ball which was held at Radio City Music Hall in New York City His film works include : Sleepwalk with Me(2012), Neighbors (2014), You Must Be Joking (2014), Band of Robbers (2015), The Disaster Artist (2016) and Baywatch (2017). He also won various awards including Chicago’s Funniest Person in 2007 and American Comedy Award in 2012. Moving to his personal life, Hannibal Buress remains silent about his marital status, relationship and affairs. He might have tried to hide his personal life from media. Being a successful stand-up comedian, he has gained name, fame and money. He has total net worth of $1million. Buress is very active on social networking sites and updates his profile frequently. We can expect more work on stand-up comedy from this talented comedian and screen writer.